On Wednesday, 3-star (HV Rating: 87.1) Jamie Nance‍ signed his letter of intent to play for Nebraska. The Blanchard, Oklahoma, native was part of the June flurry of commits that saw six players commit to Nebraska. Nance made his pledge on Jun. 29. It’s simple what Nance brings to the Nebraska recruiting class: speed. As a junior, Nance ran a 10.66 in the 100 meters in track. 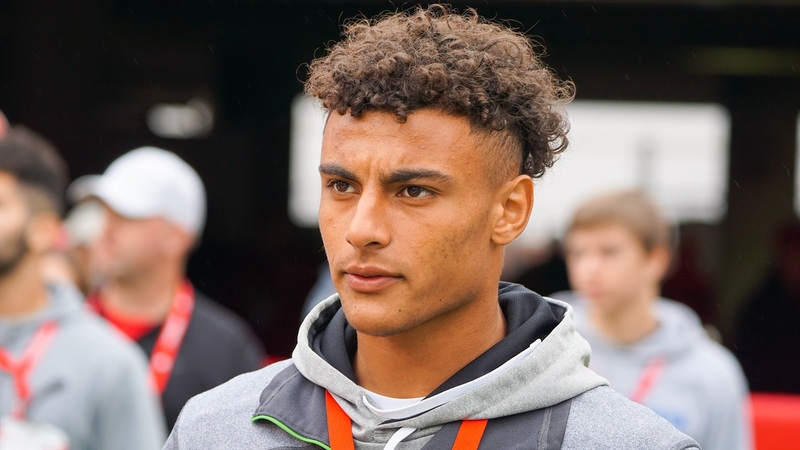 Nance has been a vocal peer recruiter for the Huskers, often taking time during his unofficial visits and official visit to bend the ear of uncommitted players in Lincoln. That excitement for Nebraska comes from his relationship with the staff as he told Hail Varsity back in October. On Mar. 28, Nance only had one offer from East Central Oklahoma and blew up over the next three months adding over 20 offers. As you can see on film, he has great hands and is always looking to play a play after the catch. He is also a player that will contribute on special teams during his college career. Nance will enroll early and arrive in Lincoln in January.